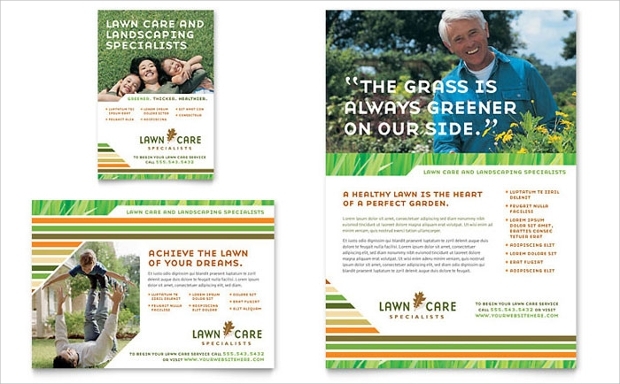 For those in the lawn care business, having standard flyers that contain all details about the business, its relevant addresses & contact numbers and a full range of services offered sure makes sense. 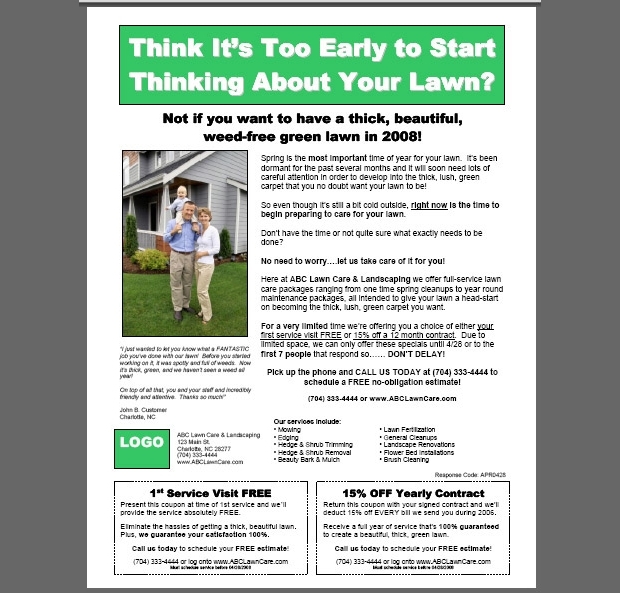 This is more so because these are of convenient sizes, are relatively cheaper to print both commercially and digitally and, more importantly, can be conveniently handed over to prospective customers looking for lawn services. 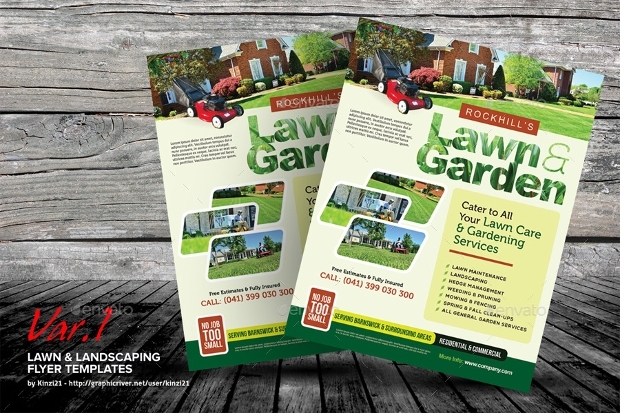 Your lawn care flyer may be made to look like a vintage flyers with that standard back-to-back, two-page format that contains all valid information and illustrations about the service provider on both sides of a single A4 size sheet, coming with that typical vintage look. Similarly, readymade elegant flyer templates are also available on the Net for advertising parties, anniversaries and other fun-filled and glamorous social events. 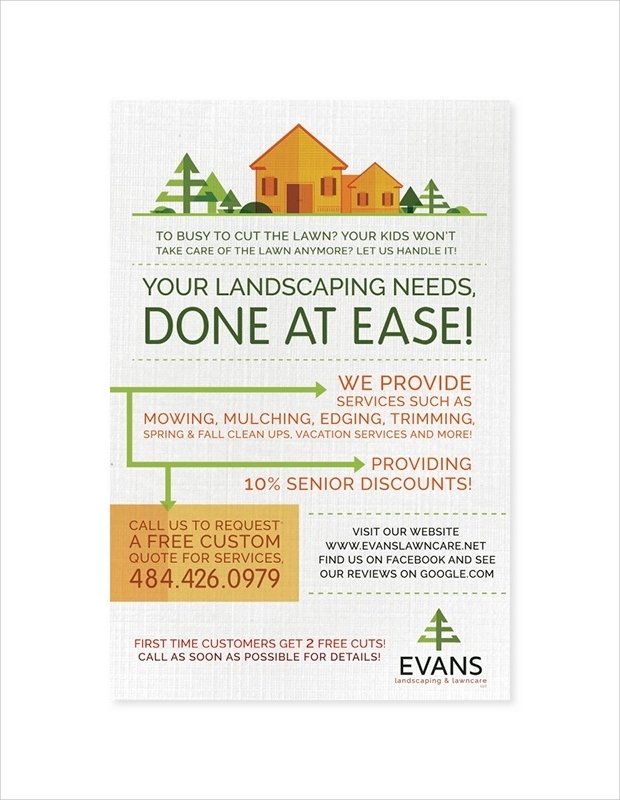 This flyer template is fully editable by using Illustrator CS 5. The size is 8.5” X 11” with provision for bleed: 0.25”. The files are layered and images are downloadable from the link, Used Image. The included Graphics Files areAI Illustrator and Vector EPS and adaptable to Adobe CS5 Version. 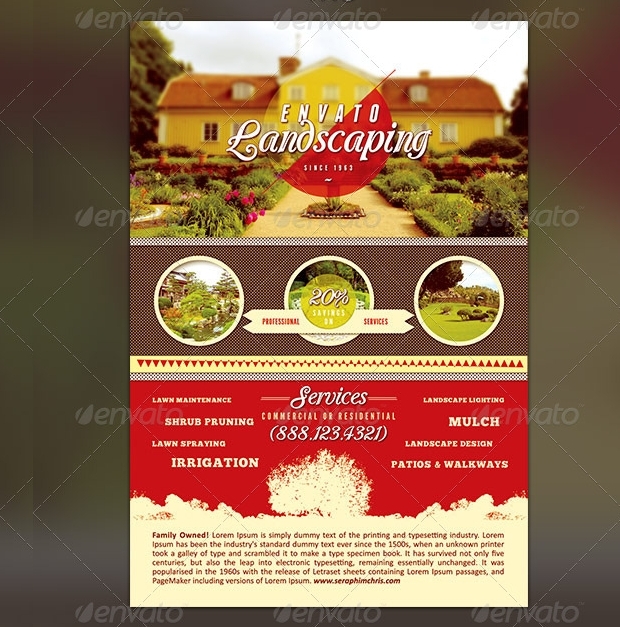 Template Size: 7” x 10” , 1/4-page and 1/2-page, no fold type. The file formats are Illustrator, Adobe InDesign, Publisher, Microsoft Word, QuarkXPress, Apple Pages and CorelDraw. Easily customizable, all -color layout with graphics files. 300 DPI high-resolution pictures, logo designs and original artwork included. Instantly downloadable online 24/7 online. The template is compatible with: Adobe InDesign CS4—6 &CC; QuarkXPress 2015, 10 & 9; Adobe Illustrator CS4—6 & CC; Microsoft Publisher ’16, ’13, ’10 & ’07; Microsoft Word ’16, ’13, ’10, ’07 (Mac ’11 & ’08); Apple iWork Pages 4 & 5; CorelDraw X3—7; Microsoft PowerPoint ’16, ’13, ’10 & ’07. Printable both commercially and digitally. You may even replace copy and usable fonts are BaseNine SmallCaps & BaseNine; Gill Sans Bold and Bell Gothic Light. print size is 8.5” × 11” with 0.125” bleed area; 300 dpi CMYK color; Photoshop .psd as the source-file format and can be edited using the C3 version of Adobe Photoshop or even more recent versions. Photo links are also available on readme.txt file and the fonts used are :nexa-free-font, Museo, Bebas Neue, Signika and Arial Black. 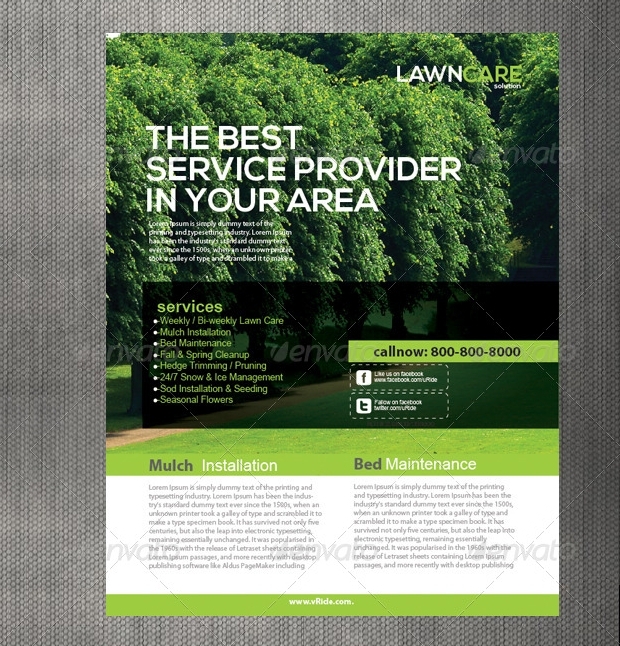 The page size of this no-fold template is 8.5 “ x 11” in size and also comes in quarter page and half page sizes. The file formats are: Illustrator, Adobe InDesign, Publisher, Microsoft Word, QuarkXPress, Apple Pages, and CorelDraw. 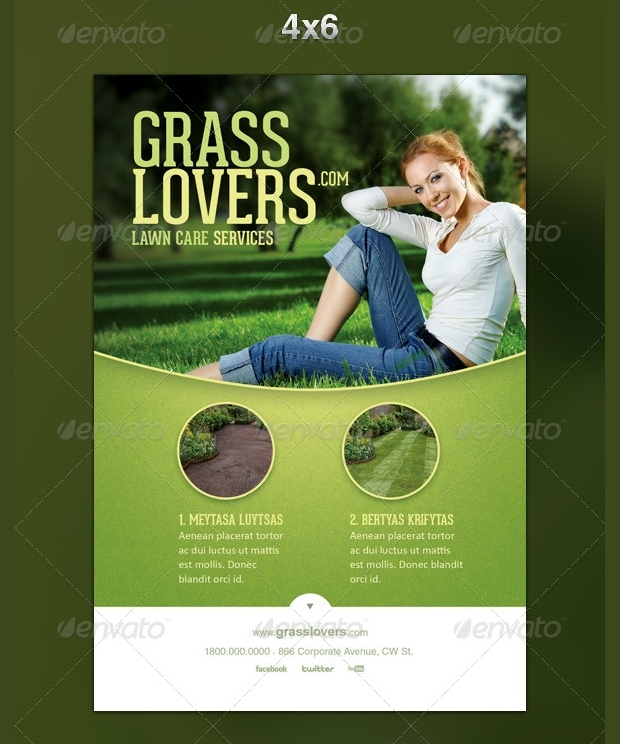 The template is easily customizable and in full color with graphics files included. The photos are all high-resolution as are the logo designs and original artwork. You can download it instantly 24/7 and file formats are all compatible with: Adobe Illustrator CS4, CS5, CS6, CC; Adobe InDesign CS4, CS5, CS6, CC; CorelDraw X3, X4, X5, X6, X7; QuarkXPress 9, 10, 2015; Microsoft Word ’07, ’10, ’13, ’16 (Mac ’08, ’11); Microsoft Publisher ’07, ’10, ’13, ’16; Microsoft PowerPoint ’07, ’10, ’13, ’16 and Apple iWork Pages 4, 5. 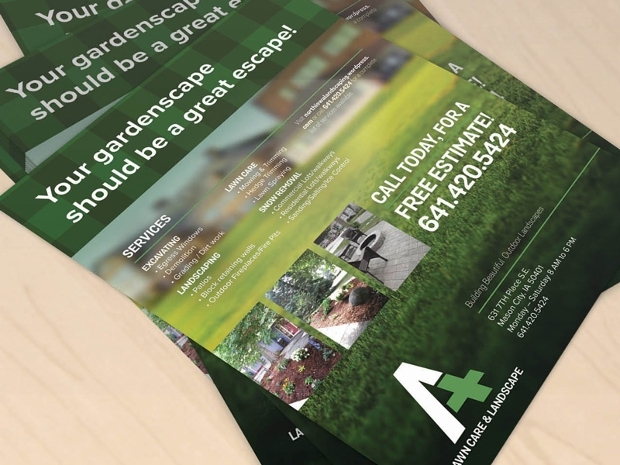 Can be printed both commercially and digitally and fonts included are: Geometric Medium 415; 12 Avenir Heavy 85; 12 Avenir Medium 65 & 12 Avenir Black 95. 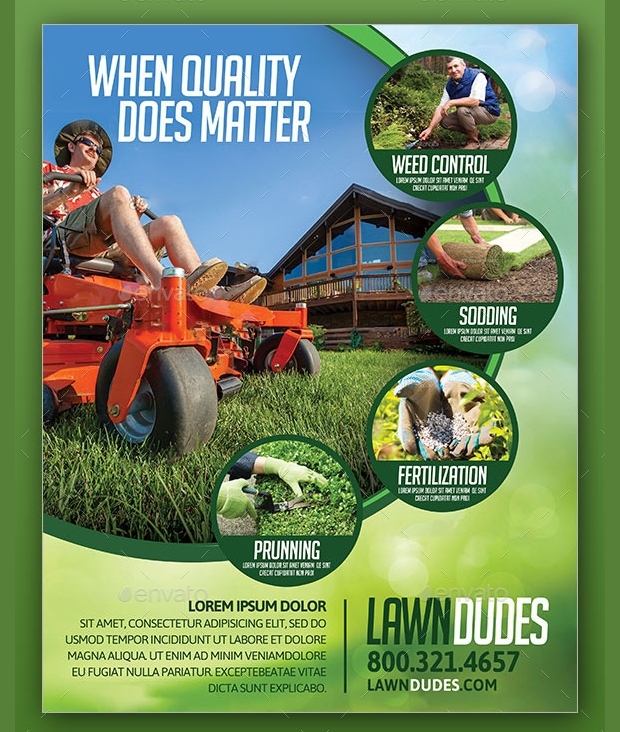 Yet another standard lawn care service flyer designs template in CMYK Color, 300 DPI Hi-Resolution photographs and graphics. The size is 210 mm × 297mm. 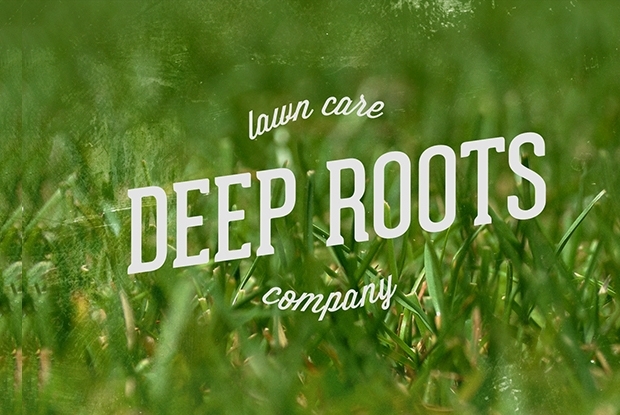 Free Fonts are available and the text layers are editable. There is also the layer for Smart Object to replace photos. Files include: Help File — Readme.txt and three PSD Files. The usable fonts are Lato, Roboto and Bebas-Neue. This template too, comes in the standard is 8.5 “ x 11” size with 300DPI high-resolution photos, artwork and graphics. This is easily editable and changeable in terms of color, fonts and texts. The files are layered and this template is also printable both commercially and digitally. Various layout/design options available. This template has two, 300 DPI high-resolution flyer designs with Mask and Smart Objects to easily replace photos. The sizes are 8.5” X 11” and 4” X 6”, respectively. The color coded files are in organized layers and are easily editable; cmyk color and ready to print. Fonts used are, Calibri and Geared Slab. The template size is 8.5″ x 11″ and is most conveniently usable for all your specific promotional needs. You can upload graphics, photos, and logos. Designs may be customized for any specific purpose or event. 1/16″ bleed space has been provided and both sides are customizable with 2 cheap paper options. Best produced in 8.5″ x 11″ size on glossy, cover-weight paper weighing 100lb. This template is customizable to suit any specific purpose. 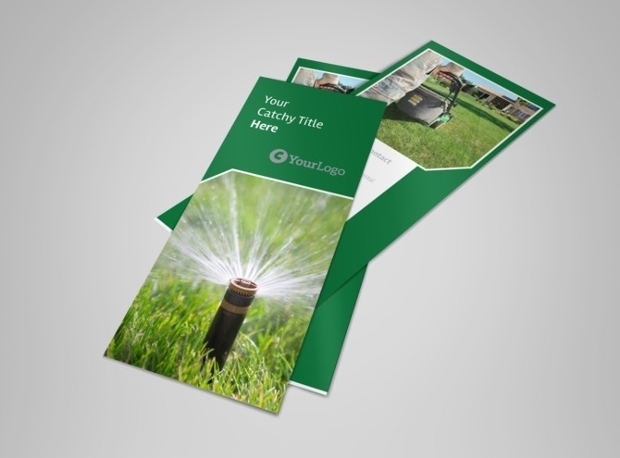 You have the option of changing any color or photo you want and the template is available in 2 sizes namely, 4” × 6” and 8.5” × 11” with a 6-color option. The files are all layered with color coding. 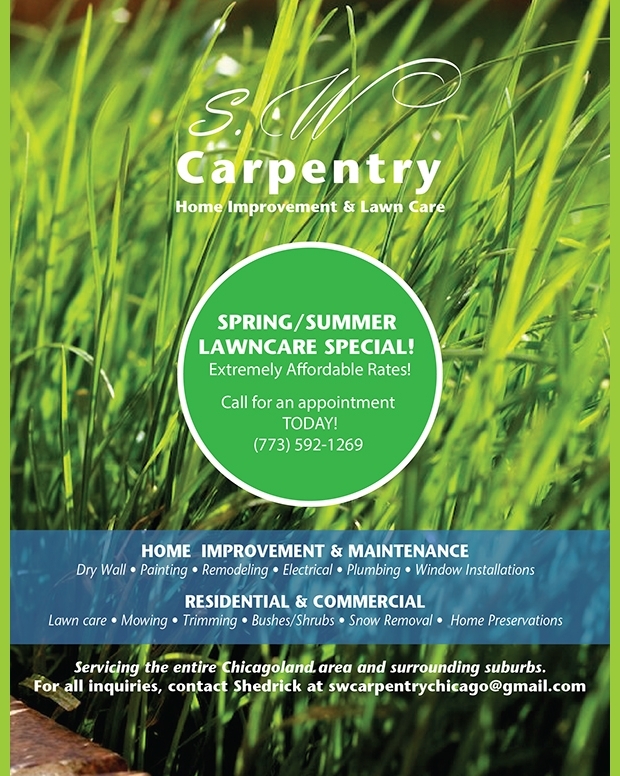 Fonts used are Carrington,Chunky Five, League Gothic, and Calibri. The graphics files have been created using Photoshop PSD and are adaptable to the Adobe CS 3 Version. 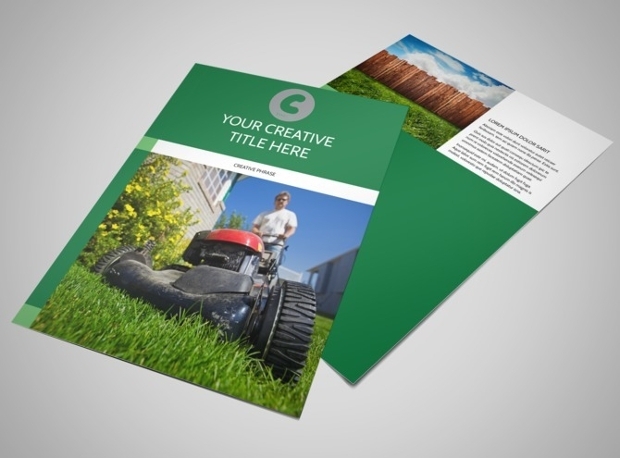 Yet another fully editable and customizable template that is ideal for those engaged in the lawn services and landscaping businesses. 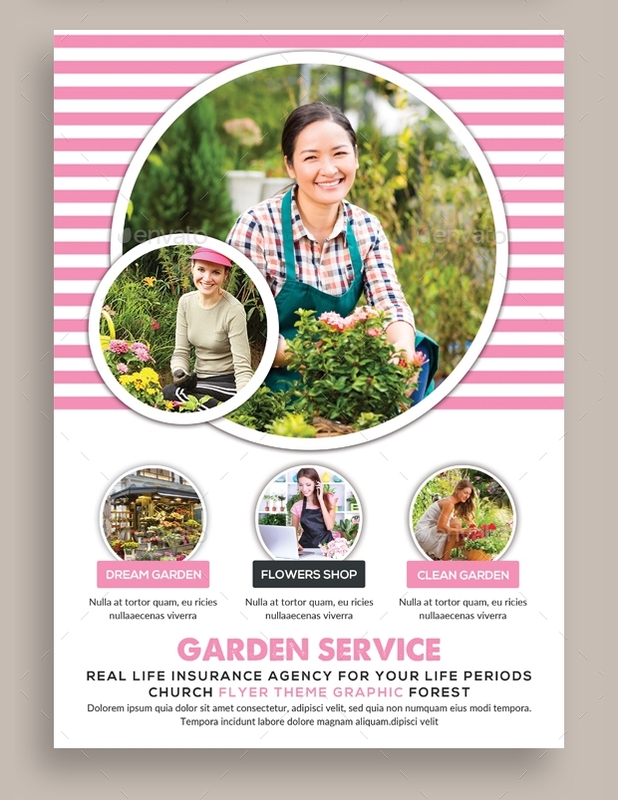 Comes in the standard A4 size with a bleed area for printing which can be done both digitally and commercially. 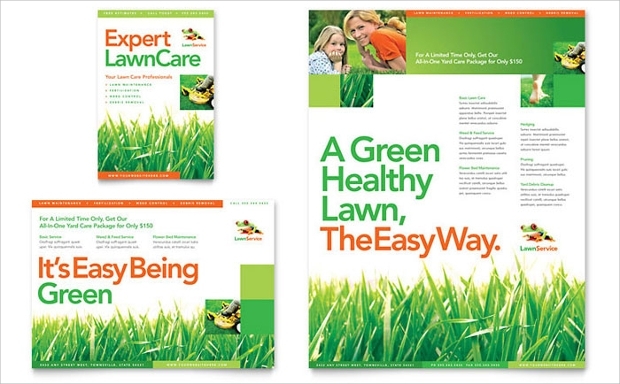 The files are layered with CMYK color with 300 DPI high-resolution images and graphics.